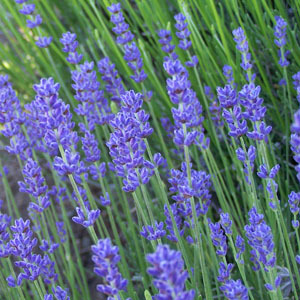 This English lavender cultivar is a compact shrub suitable for low hedges; beautiful dark purple flowers on short stems. Nice for dried flowers, oil, and potpourri. The calyx is dark purple; the corolla is violet colored.